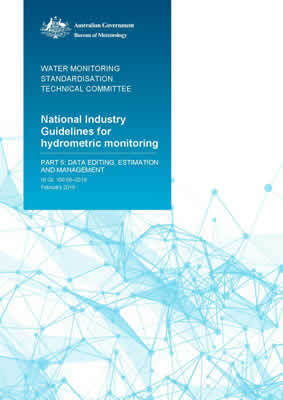 The purpose of this document is to provide guidelines for recommended practice to ensure traceability of all data editing and estimation and to set minimum requirements for hydrometric data management. This guideline applies to the management of stored hydrometric data including editing, correcting, estimating and quality coding. This guideline does not apply to field based data storage.